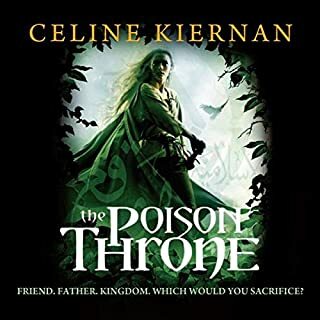 The Poison Throne is a gripping adventure tale with elements of fantasy, mystery and romance. I loved the writing, from the vivid descriptions of court life to the inner conflict of the characters. There are no simple characters here, we see a dark side to nearly everyone, as well as their struggle to overcome it. The young heroine Wynter is intelligent and brave, but also shows emotion and vulnerability, like most teenagers. This is a book that challenges the listener, but I found it very rewarding. It also has plenty of humor, as well as scenes of unbridled joy. The narration is superb, and hits every emotional note with authenticity. I’m looking forward to the next book in the trilogy. 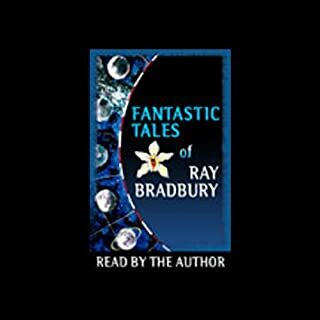 Bradbury's rich, evocative prose stands in perfect contrast to his dark atmospheres and fantastic settings. These 14 spellbinding stories, including "The Illustrated Man," demonstrate why Ray Bradbury has been called "America's finest living fantasist." These are masterful stories of all types, from frightening and futuristic cautionary tales to nostalgic portraits of days gone by. It's amazing that a science fiction story like The Veldt, first published in 1950, still has relevance in today's computerized world, perhaps even more so. From a dramatic standpoint, I don't think the author is the best narrator for his own work. His modest, everyman voice doesn't rise to the luminous poetry of the writing, and he rushes through passages so beautiful you wish you could savor them. But the great benefit to having the author's own narration is not only his inside knowledge of character and motivation, but his commentary at the beginning of each tale, providing insight into how it came to be. These strengths help compensate for the reading and make this a collection worth listening to. This is a great book for anyone who wants to learn more about these mysterious mammals. 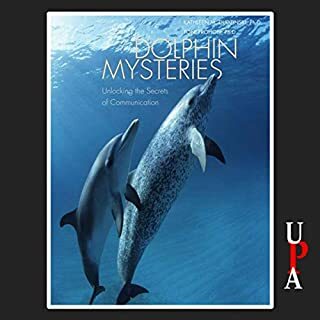 It delves into topics of dolphin biology, behavior, communication, interaction with humans, and public perception. 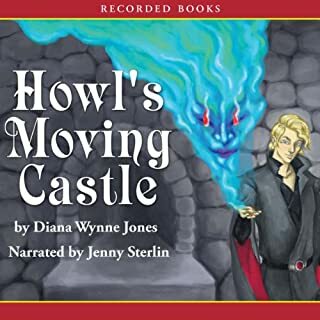 As an audiobook, it's occasionally hard to follow. There is a lot of information to absorb, and the narrator speeds along at a relentless clip. Also, the printed edition of the book has many photos and drawings which are missed here. But aside from those minor drawbacks, this is a fascinating and thorough introduction to dolphins, which proves that the more we know, the more we realize how much we don't know. And if you're interested in learning still more, I highly recommend you seek out the printed book. The whale is the largest, loudest, oldest animal ever to have existed. It is improbable, amazing, and - as anyone who has seen an underwater documentary or visited the display at the American Museum of Natural Historycan attest - a powerful source of wonder and delight to millions. 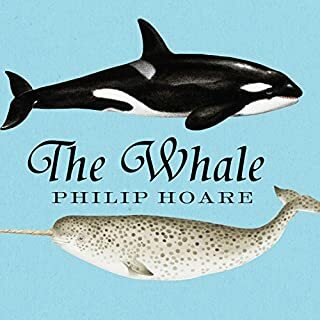 The Whale is an extraordinary journey into the world of this fascinating and mysterious animal. 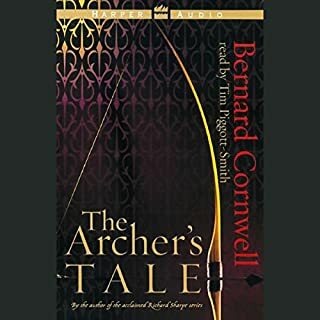 The uniqueness of this book – combining historical, biological and personal narrative – also makes it a bit hard to follow, especially as an audiobook. In the printed version, quotes from Melville and others are set off from the rest of the text, making them easier to distinguish (or skip), and there are also dozens of illustrations and historical photographs that illuminate the stories. Reduced to a single audio narrative, it loses focus. I also think the narrator is somewhat miscast. The writing itself is very good, and covers a huge amount of research and reference. Whales are portrayed in language poetic, wondrous, surprising, and occasionally profane (sensitive ears be warned!) You can see the author's inquisitive mind at work as he tries to uncover the essence of these creatures. Unfortunately the journey takes us in so many directions, readers may feel like those whalers at sea, weary from the long periods between actual whale sightings. This is an exciting tale of medieval times. There is a lot of focus on the battle scenes, and while they are riveting, I felt almost as weary as the soldiers by the book's end. The author doesn't shy away from depicting violence and brutality, which makes for some intense listening at times. But the characters are strong, and their noble struggles make you realize the terrible cost of war in any age. 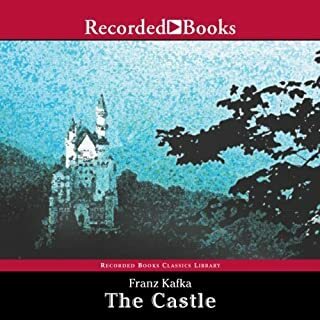 I'm a Kafka fan, and I read The Castle before hearing the audiobook. This is definitely not for everyone -- long, rambling, seemingly without direction. Many of the passages feel more like a philosophy treatise than a story. It is an unfinished novel, literally ending in the middle of a scene, which leaves one very unsatisfied. Before he died, Kafka told his friends how he intended The Castle to end, and that information would have been very helpful to include here. I also recommend The Trial as a much more accessible Kafka novel, which deals with many of the same themes (the individual struggle against a frustrating and obscure bureaucracy).